I’m quite happy to preface this review by saying that I am NOT by any means a regular listener to metalcore… in fact I’m pretty sure my flatmates are wondering what’s going on in my room as I listen to I Killed the Prom Queen’s latest album. BUT, I like to think I have an open mind and I have liked some metal in the past. I even went to Soundwave last year, look how hardxcore I am. Beloved is the latest album from Australian band I Killed the Prom Queen, the first in six years in fact! 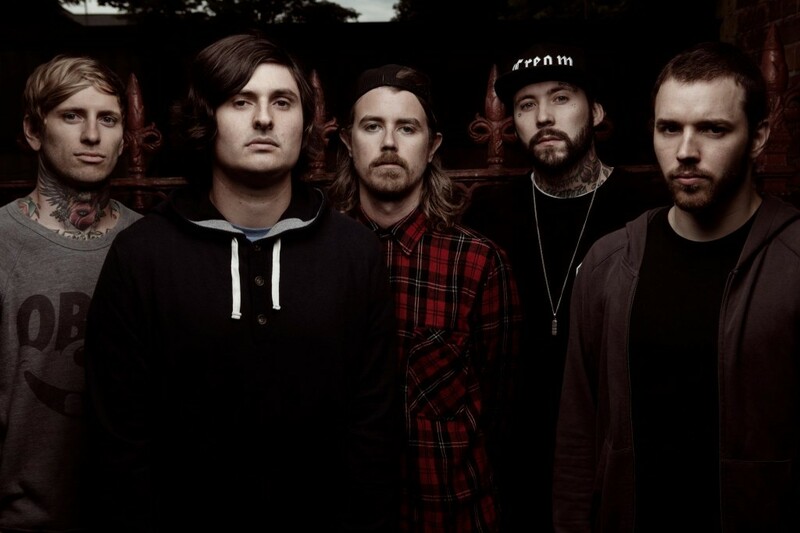 So if you’re a fan of metalcore then you’re in for a treat. Unable to figure out how to approach this album in a more traditional fashion, I’ve decided to “liveblog” my first listen. Track 1 (“Beginning of the End”): All right, this album’s started off pretty well. I’ve always thought you can tell how an album’s going to go from the first track, it sets the mood so to speak. The vocals have come in now though and while I was expecting the screaming it’s still taken me aback a little bit. Track 2 (“To the Wolves”): This must be how grandparents feel when listening to more… contemporary music. I’m worried that the lead singer will irreparably damage his vocal cords, however does he perform live?! Track 3 (“Bright Enough”): More screaming. What are the lyrics to this song? I have no idea. I read somewhere that good parenting means retaining your calm tone so that children can understand the words that you are saying, and not being distracted by the screeching/yelling/screaming/whatever way you communicate with your child when agitated. The chorus is a little more articulate. This is the kind of metal I like – although my indulgence in the metal genre really only has extended to Bullet for My Valentine songs and also that one by Underoath that doesn’t sound terrible. Actually I’ve just realised that I’ve listened to more metal than I thought. I do own a copy of MTV’s Headbangers Ball Vol. 2 after all. On compact disc no less. A collector’s item come the 31st century I’m sure. This song is actually quite enjoyable. The music itself is really good, you have to admire the guitarist and drummer especially. The breaks are epic! This kind of play requires much stamina. Well, and the vocals too of course. You can’t scream all the time without having some sort of raging capability for, well, screaming. “I won’t give up on you,” he growls, and it’s nice to know that he understands the initial difficulty I’m having, reviewing something I wouldn’t normally listen to. Track 4 (“Melior”): Back to the screaming. It’s really hard to concentrate and I can’t get past the screaming until – ah, a guitar solo! Interspersed with growling! Okay, I really like guitar solos in metal songs because they are just ridic awesome. Honestly it blows my mind picturing them being played. I think if “Instrumental Metalcore” were a genre it’d be quite high up in my “enjoyed genres of music” list. Track 5 (“Thirty One and Sevens”): I am really having difficulty catching the lyrics. I feel like a noob and very much my age. I am decidedly unbogan right now. I guess I never was. Track 6 (“Calvert Street”): Proper music reviewers will be turning in their graves. Don’t get me wrong, this is actually a decent album. But the thing I cannot appreciate about metal is that all the songs end up sounding the same, kind of like how musicians like to mock the formulaic pop music chord progression. Not a criticism, just an observation, although if I am going to have any sort of career as a music reviewer (a more placid form of criticism?) I should start actually criticising something. Constructively or not. Sometimes I think critics are unnecessarily harsh just because it is literally in their job description; “constructive film critic” probably has less of a flow to it on the business card. Track 7 (“Kjaerlighet”): I think the thing that throws me off the most about this album is that songs start off quite melodic and low key before breaking out into the more standard metal fare (although this progression is, as a whole, turning out to BE the standard melodic metalcore fare). It lulls me into expecting a certain type of song and then it’s a jab to the ribs when the heavy metal comes in… I shall be prepared for the next song! Track 8 (“The Beaten Path”): I’m flagging. It was new at the start of the album but it’s really seeming quite derivative now. I Killed the Prom Queen has been around since 2000 which is a bit earlier than the time I started listening to PureVolume, but this song REALLY reminds me of some of the PureVolume bands I “discovered” in high school. This track is called “The Beaten Path” so I’m wondering if it’s a homage to that sort of now old-school metalcore, taking it back to its roots and showing the new kids how they did it, so to speak. It really reminds me of the one UnderOath song I liked, which I don’t think is representative of metalcore as a whole but rather my 14 year old memory of what metal music is. And that one Killswitch Engage song as well. Track 9 (“Nightmare”): I’m trying to remember the name of the UnderOath song that I like. Total mind blank, I thought it might be “The End of Heartache” but that’s Killswitch Engage. I’m moving out of my flat and the person replacing me is moving all her stuff in right as I’m typing this. Wonder what they think of this music. Track 10 (“No One Will Save Us”): Spasming thrash death metal! That is this song. It appears that the line between melodic metalcore and haphazard melodic metalcore is one that is easily crossed.